If diabetic neuropathy pain is getting the best of you, you don’t have to suffer. 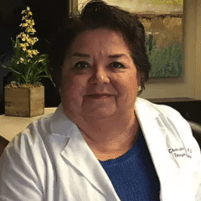 At St. Luke Integrative Medical Center in Huntsville, Alabama, Dr. Yvonne Ortega treats symptoms of neuropathy caused by diabetes to relieve pain and give you the quality of life you deserve. If you have diabetes, call to find out about the latest advancements in diabetic neuropathy treatment, or book an appointment online with Dr. Ortega. Insulin is the hormone needed to absorb sugar from your blood into cells within the body. Diabetes is a condition that causes increases in blood sugar due to your body’s inability to produce enough insulin, or the inability to properly use the insulin your body does make. If you experience these symptoms, it’s important to see your doctor right away because diabetes can lead to serious complications if left untreated. Controlling blood sugar greatly reduces the risk of complications from diabetes, including peripheral neuropathy. Properly managing diabetes helps prevent diabetic neuropathy, but Dr. Ortega can treat your diabetic neuropathy if you do suffer from it. A simple blood test determines if you have Type 1 or Type 2 diabetes. If you do, the treatment involves taking insulin, diabetes medications, or both. Eating a healthy diet, avoiding added sugar when possible, getting regular exercise, maintaining a healthy weight, and regular blood sugar monitoring help manage diabetes. Dr. Ortega is the leader in regenerative discovery for diabetic neuropathy treatment at her beautiful state-of-the-art facility. She improves neuropathy and reduces symptoms using cutting-edge stem cell regenerative medicine. To help manage diabetes or receive diabetic neuropathy treatment from the best in her field, schedule an appointment with Dr. Ortega today or book an appointment online with St. Luke Integrative Medical Center.